Use It In Other Projects, Too! Celebrate the season every year with this fun and charming pillow. 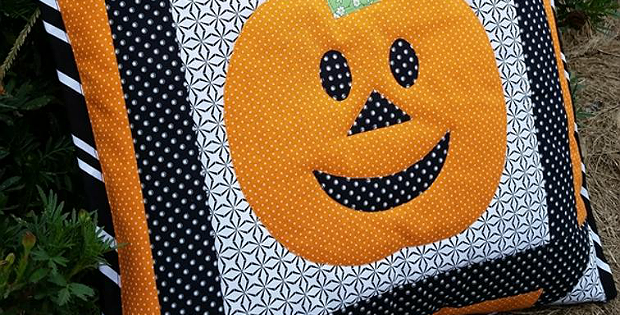 The happy pumpkin will be glad to welcome you and your visitors anywhere around the house. While we love the pillow, it’s easy to imagine the center used in other projects. For example, put a pumpkin at either end of some piecing for a table runner. Or make the front of the pillow top into a mini quilt for your wall. Simple piecing and fusible applique make this a fast and easy project. The size of the finished pillow is not provided by the designer, Lea Anne Brummett from Podunk Pretties. However, it appears to be a standard pillow form size. 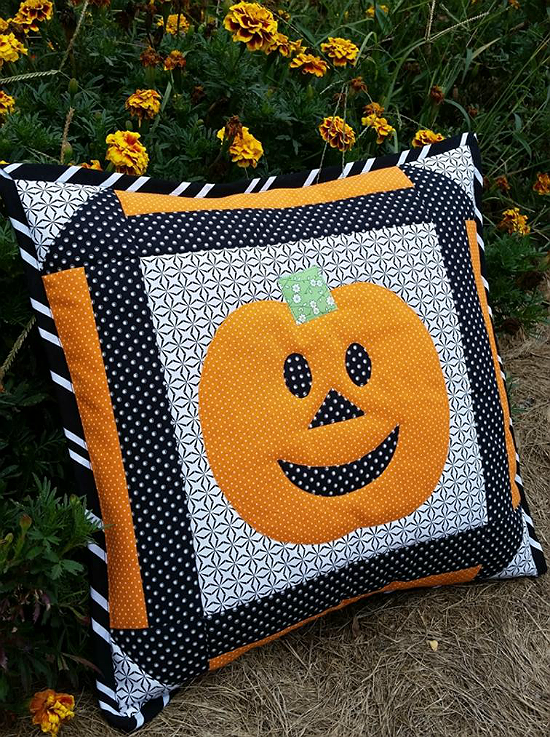 Click here to purchase the “Happy Pumpkin Pillow” pattern.